Pension Awareness Day is an award winning campaign that takes place annually on September 15. The aim of the day is to promote the importance of saving for the future and to alert the nation that it is not saving enough for retirement. 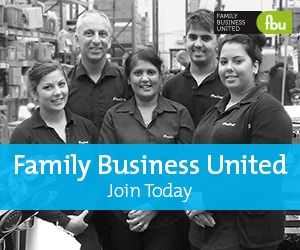 Family Business United is delighted to be celebrating the day by focusing on pensions with articles, features and more besides throughout the day. The initiative was devised in response to concerns that people are not saving enough for their retirement. According to a recent report by the government, almost 12 million people are failing to save enough for their future. This coupled with an increasing ageing population and uncertainty over the changes to the state pension, means that despite auto-enrolment being introduced to the workplace, it is clear there is still a long way to go in equipping people with the tools and information they need to help them save more. Everyone working within a family business needs to consider the need for planning for later life and as such we are delighted to be supporting this great initiative. We will be sharing articles and insights during the day on social media to continue to raise awareness of the need to plan for the future. Prior to September 15, please email any articles on the issues around planning for retirement, financial independence from the family firm and pensions to paul@familybusinessunited.co.uk and we can then publish and share selected items on Pension Awareness Day.